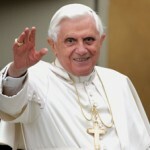 Easter according to Joseph Ratzinger Benedict XVI’s effort for Unity. What will be of it? Joseph Ratzinger was Prefect of the Congregation for the Doctrine of the Faith when – in October 2003 – he gave an interview to the German Newspaper Die Tagespost. In that interview, Ratzinger issued the warning for «an unilateral academization of Theology». In Germany, Faculties of Theology are established in the State universities. Ratzinger feared that «because of its being among other Faculties, Theology would aim to be a science similar to the others, and so it would seclude itself from the academic – purely intellectual – action, and finally it would exalt the intrinsic coherence and the scientific accordance with other disciplines as a supreme criterion». And the then prefect of the Congregation for the Doctrine of the Faith admonished that – «if this would happen, theology would run the risk to lose its own interior roots, i.e. spiritual life, dialogue with God, the Faith that the theology carry with itself and that above all opens the eyes to the realm». It was not just the Prefect for the Congregation of the Faith speaking. It was also the theologian Joseph Ratzinger speaking. And, above all, it was the believer Joseph Ratzinger speaking. 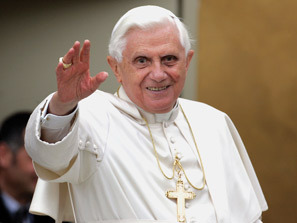 Nowadays, Joseph Ratzinger is Pope Benedict XVI and today he celebrates his 85th birthday. How can we understand the Joseph Ratzinger’s pontificate? The answer is in the life itself of Joseph Ratzinger. His love for liturgy, for daylong prayer, for faith came into light within his humble and devout family – Rosary was a daily prayer in Ratzinger house. His reflection about the Church of Pagans – not anymore a «Church of Pagans became Christians, but Church of pagans that are still calling themselves Christians, but they are actually Pagans» – comes directly from his first experience as vice-rector of parish, while he spent most of his time confessing. There are other steps of Ratzinger’s life that had been important for the evolution of his thought. First of all, the years of the Second Vatican Council: Joseph Ratzinger goes to Rome as an expert to give is contribution to renew the Church; then, the years after the Council, when he quietly tried to resist to the turning of the Reform of the Church into a revolution; and finally, his years at the Congregation for the Doctrine of the Faith. There he raised up the method the Congregation is still working with: the condemnations of the Congregation were always made up of two documents, the one pars destruens and the other one pars construens of the book or doctrine that the Congregation was going to condemn. After all, Ratzinger always said that «patience is the daily power of love». Who is really Joseph Ratzinger? He loves his family, first of all. In his autobiography, Milestones: Memoirs 1927 – 1977, Ratzinger tells with great emotion the moment when his family rejoined after the years when the brothers Joseph and Georg left to study and become priests. And the last book of his brother Georg, My brother, the Pope, is full of anecdotes that testify how Joseph Ratzinger loves his a simple person, that loves his family and friends more than any other thing. But Ratzinger is above all a man of faith. And he feed his faith with Reason – this is what makes of him a universally appreciated theologian. April, 6 2006: at the encounter of Pope with the youth, Giovanni – a 17 years old student –asked Benedict XVI how to harmonize knowledge and Faith. And the Pope – after underlining that there is the same Reason at the basis of the book of nature and at the basis of the Sacred Scriptures – affirmed that «either one recognizes the priority of reason, of creative Reason that is at the beginning of all things and is the principle of all things – the priority of reason is also the priority of freedom -, or one holds the priority of the irrational, inasmuch as everything that functions on our earth and in our lives would be only accidental, marginal, an irrational result – reason would be a product of irrationality». And he concluded: «The great option of Christianity is the option for rationality and for the priority of reason. This seems to me to be an excellent option, which shows us that behind everything is a great Intelligence to which we can entrust ourselves». The Christian option for rationality leads directly to Faith. Hence, Ratzinger’s fear that theology would become a science similar to the other sciences. Hence, Ratzinger’s fear that the people of God would lose the sense of God. The Pope is 85, and he will celebrate this year with the year of the Faith. To turn back people to God. This has been his mission since he is a priest. This is his mission as a Pope.